This is a very interesting article we found on springwise.com ( http://tinyurl.com/d8zbfcj ) that illustrates how QR codes are set to revolutionise the way we fill our down/waiting time. Currently on a trial run in 4 major subways in Prague, commuters can carry out their shopping while waiting on their train. 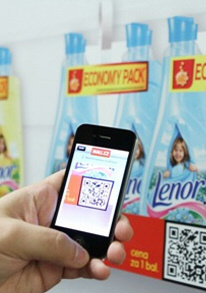 With qr codes attached to actual photos of the products, comsumers can feel confident that they are choosing the right product. 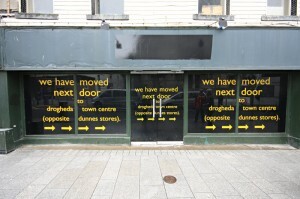 This is what we are achieving with Virtual Shopfronts. “Through a partnership between P&G and Mall.cz, Prague’s four busiest subway stations now include virtual grocery stores that offer shopping by phone for delivery at home. Regular Springwise readers may recall our coverage of Tesco’s effort to offer grocery shopping by smartphone on South Korean subways, and recently we came across a similar initiative in the Czech Republic. Through a partnership between global brand P&G and Mall.cz, Prague’s four busiest subway stations now include virtual grocery stores that offer shopping by phone for delivery at home. Launched last month, the new, virtual subway grocery stores feature oversized wallpaper or posters with product pictures and prices, simulating the look of product-filled shelves in a real, bricks-and-mortar store. When consumers see an item they need, they can simply point their iOS or Android-based mobile phone at the associated QR code and it will automatically submit the order to the online store, where it can be completed. The shopper then receives a message to confirm delivery time; free second-day delivery is guaranteed. The new virtual grocery stores will be available until the end of 2011, according to a P&G press release, with extra product categories added as the holidays approach. Other brands and retailers around the globe: be inspired! If you haven’t heard about innovation Dublin 2011 which has been running since Oct 17th and doesn’t finish until the 18th November…..where have you been? Head in the sand or just too busy? Hopefully the later. 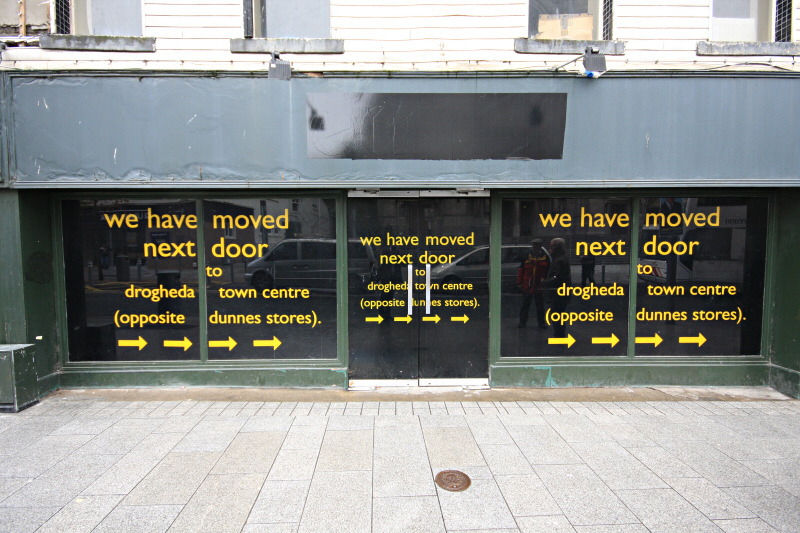 Well as part of the festival programme and in conjunction with Creative D & Block T, Virtual Shopfronts along with other creatives will be taking part in an exhibition that brings you on a journey through the minds and thought processes of those people shaping Dublin’s creative future. Taking place tomorrow (yes tomorrow November 3rd) at the Block T HQ in Haymarket, Smithfield, the exhibition will highlight the different approaches to creativity adopted by a wide range of artists and innovators along the creative journey – including the visual arts, crafts, digital media, film, fashion, photography and design worlds – with a view to dissecting and examining The Anatomy of Creativity. The event is totally FREE (yes we know what caps mean in cyper language) and we would welcome everyone and anyone to come and visit. Virtual Shopfronts will be creating a dynamic virtual retail environment while there will be lots of other amazing exhibitions to visit and discuss with their creators. Creativity & Innovation are key to a successful new economy so make sure to come and say hello…you never know what you will learn and you can be sure you will BE INSPIRED.